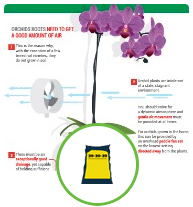 Kids enjoy hunting for orchids! This activity is for older children with the primary purpose of getting them to pay attention to the show. Each child is given a pencil and a folder. Stapled to the inside of the folder are pictures on one side and a chart the child fills in on the other side. 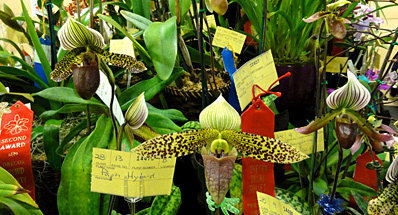 The photos are pictures of orchid flowers that have been entered in the show. Number the pictures. The challenge is to see how many of the flowers the child can find and identify in the show. 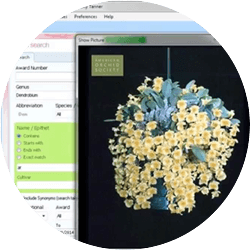 In the chart, the child should write the number of the flower, the name on the label and the name/number of the exhibit for each flower found. Ten or more of these empty charts can be stapled to the folder. When the child returns the filled out folder and the pencil, pin a mini-ribbon on the child’s shirt. Keep the folder and rip off the child’s form. (You can give that to the child to keep.) The folder is now ready for the next child. Folder showing chart and photos. 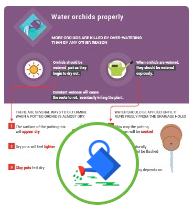 The chart is 4 columns (headings: NUMBER, NAME OF PLANT, EXHIBIT, RATING) by as many rows as you can fit on a page. Print out 5 or more copies of the chart for each folder. Staple them into the left inside of the folder. Can be stapled to the front (outside) of each folder, or make into a standing sign for the table (see below). Get a folder and a pencil from a society member. Find each orchid picture in the show. In the “Rating” column put a “1” by your first place favorite, a “2” by your second place favorite and a “3” by your third place favorite. 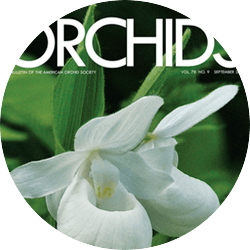 What can the AOS do to interest the youth of today in orchids? That is the question that has been consistently addressed by the Education Committee of the AOS. 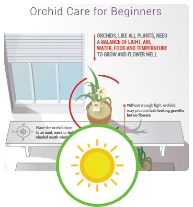 I am sending “Orchids” a series of articles that will give instructions for making/setting up activities that can become part of a Kids’ Corner. 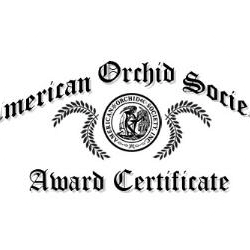 All activities have been tested successfully by the Houston Orchid Society, SWROGA and local Societies in 2012 or 2013. We hope affiliated clubs will copy these activities, creating their own “Kids’ Corner”. I will give instructions for constructing an activity for the Corner each month. Please feel free to use these ideas in your own planning. We would like this to become an exchange of ideas from all clubs. Please send any ideas from your clubs to Sandy at sstubbings@comcast.net. 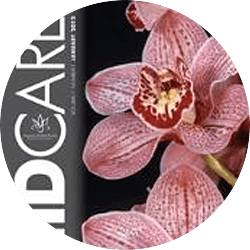 Our goals included promoting youthful interest in orchids, involving children in the show more directly, providing educational opportunities and rewarding children in a meaningful way that encourages interest. We wanted to avoid meaningless busywork. Each child who does an activity can be rewarded with a mini-ribbon. Collect old ribbons from members before the show and cut off the information on the back and any club name on the front that is not your own club. This results in small ribbons the child can pin on a shirt. (Supply safety pins with the ribbons.) The object is to have children wandering the show wearing ribbons.